Gentle Giant is proud to announce the Green Arrow Jumbo Figure as the next of this stunning line of retro figures. 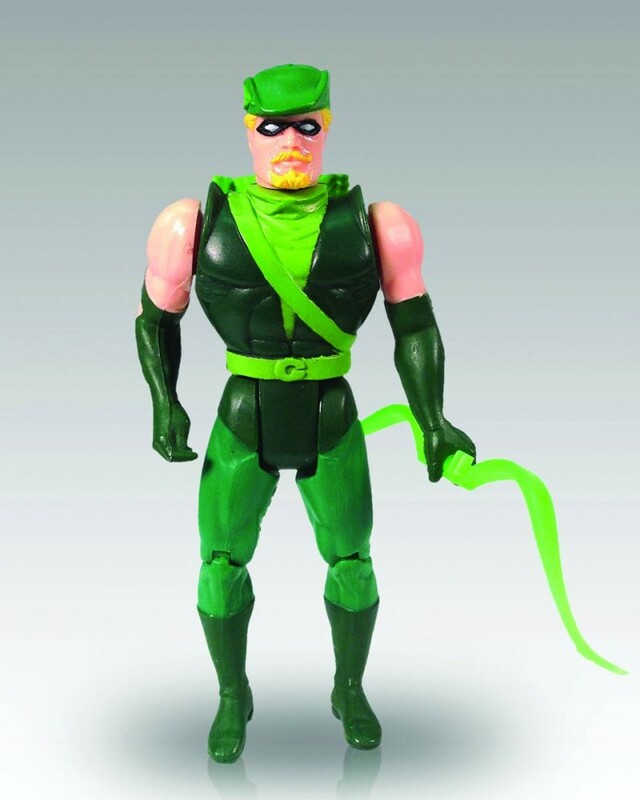 This Green Arrow Jumbo Figure was developed using state of the art 3D technology. Gentle Giant Ltd. has taken the original DC Super Powers Green Arrow figure and created a highly accurate digital model with the use of 3D scanners. This digital model was then scaled to 12” tall, and then printed using top of the line 3D Systems printers. These pieces are then used in manufacturing to produce extremely accurate, scaled replicas. The DC Super Powers Collection Jumbo Figures from Gentle Giant will be made from high quality vinyl, and some ABS plastic parts. Many of the figures will also include fabric capes and accessories, and in Green Arrow’s case, his trusty bow and arrow. Finally, these incredible figures will feature retro art packaging, and come in a protective re-sealable blister pack.